Emails that bounce are bad news for your deliverability rate. The more you bounce, the lower your rate. A low rate lands more of your emails in the spam folder - where you don’t want to be. The good news is email address verification weeds out the invalid emails on your list. Campayn has built this important feature into our platform so you don’t have to pay a third-party vendor to do it for you. 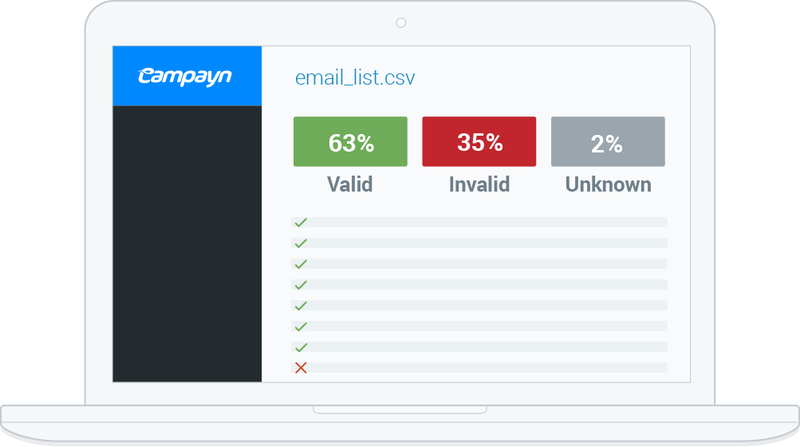 Simply upload your list in a CSV format, and we’ll let you know which emails are good and which emails need to be removed from your list.